Top software companies are evidently turning towards personal assistants and engaging their users with apps that would provide them with relevant suggestions or results based on the users’ history and usage. Apps, for instance, Facebook M, Cortana from Microsoft, and not to forget, the Siri and the popular Google Now from the two tech giants. Google is also looking forward to its new messaging and video apps called Allo and Duo. Moreover, chatbots are the gaining a lot of popularity lately not just among users but also among publishers, blogs like Android Sage, and even business executives. 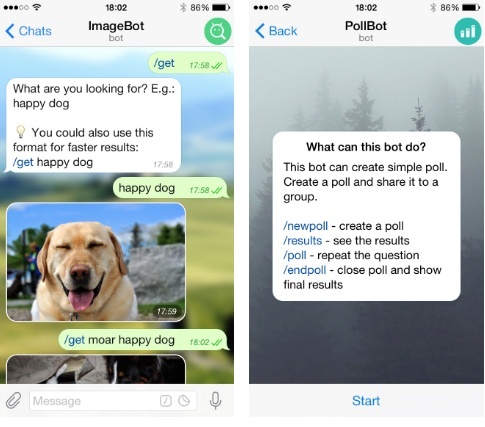 Telegram is one such chatbot platform for companies or websites to keep the users engaged. Chatfuel is another such platform. What are Allo and Duo? The Allo is basically a messaging app that would suggest you with phrases and words while chatting. The suggestions would be based on your usage habits. So basically, the app is an initial step towards artificial intelligence and on the verge of becoming the best personal assistant app. We already have the leaked Allo app available to us and how you can test it on your Android device even before its launch. Check out more about Allo and Duo from the Google blog. 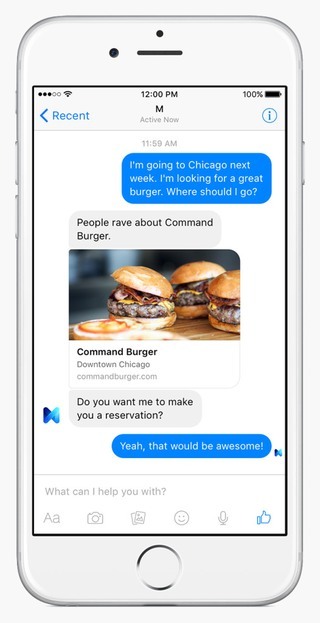 M from facebook is another app that would let you shop right from the Messenger app. All you need to do is tap a small button at the bottom of the Messenger app and send a note to M. The note can be anything from booking a table at your favorite restaurant, shopping from e-commerce websites, getting directions, etc. The M app has not been launched globally yet. Facebook is currently testing it in some parts of United States like San Fransico before they go global. Check out more about M from the Wired post. If you are an Android user then you know how useful Google Now can be useful. It is similar to the Messenger from Facebook except, it comes with way more features and functionalities. Bots are simply Telegram accounts operated by software – not people – and they’ll often have AI features. They can do anything – teach, play, search, broadcast, remind, connect, integrate with other services, or even pass commands to the Internet of Things. These are just a few examples of apps incorporating Artificial Intelligence. There are still numerous such apps in the market that provide you with similar functionalities. So indeed your mobile phone is getting smarter. So, Are Apps Getting Smarter? Yes, Apps are certainly getting smarter by day. With the advent of personal assistants, you may most certainly see more AI embedded into them to make our work more productive. The apps are constantly being updated for improvements and bug fixes and the next thing you know you don’t even need to touch your phone in order to get things done. Share your thoughts upon this topic by commenting below. Like, Share, and follow Android Sage on social media. For queries, comment down below or join the forums. Previous Entry How to Create 360 Degree Videos For YouTube?